Like red lips or heels, you are a woman for printed silk carrés or not. I'm one, embracing as I do a small wardrobe. Two or three in a suitcase will stretch a few tops for a week. (Hermès,Ferragamo, Chanel, etc.) you might profit from tips from my delightful friend Vicky, who worked at Hermès for years, and has always given forthright counsel. Tip #1: When deliberating, it's essential to tie a scarf in various ways. Don't decide based on the opened-out piece; prints look entirely different when the scarf is folded, and will change as you experiment with different ties. Example: Here's Hermès' Homage to Shackleton. 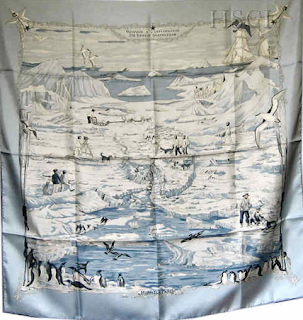 Who else would create a tribute to an Arctic exploration of heartrending hardship and eventual rescue as a scarf? 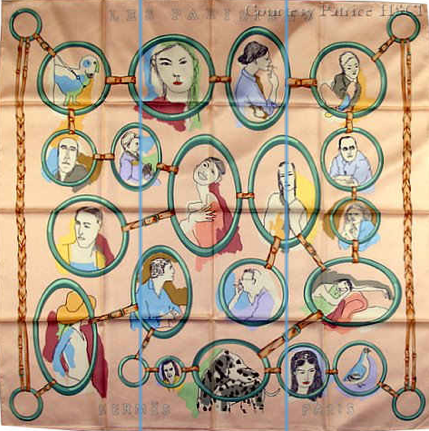 At left, the open scarf in a soft blue colourway, courtesy of the site HSCI (Hermès Scarf Photo Catalogue). I'm wearing Shackleton in another colourway, soft greys and taupes with an orange hem. Contrast-hems add an extra kick and makes scarves more casual: catnip to me. Tip #2: Look for good corners, meaning the corners are pleasingly detailed, since they show on many tie-folds. Shackleton has exquisite corners, penguins, ice floes and compasses right to the hem. Les Truites was first issued in 1953, and reissued in the mid-90s. 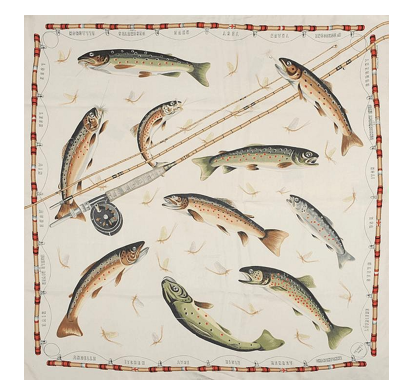 Opened, it shows a graceful distribution of trout, mayflies, fishing gear. You can see why Le Duc, who gave it to me, was captivated, and he is happy still when I wear it. I am too, but its corners are unremarkable and unfilled sections below the knot make it less vibrant when tied than when opened out. Where was Vicky when he chose it? Probably on her sailboat, enjoying a Pernod with her dashing husband. Hermès' website shows the current season's scarves both opened and folded (one way), which helps, but there's nothing like playing with one. Tip #3: Think about scale. Les Parisiens is one of the most-loved of the Paris-themed scarves. Women who think the carré is stuffy might make an exception for it. Above, the opened scarf with its café habitués in the peach, green and coral colourway. Mine is black, grey and orange. This is ideal for me, a tall, large woman, but the busy, non-repeating print might overwhelm a petite frame. A small woman would suit a smaller-scale or quieter motif like the classic Cosmos, shown below in amethyst and turquoise. Great corners, and the unfilled space glows with jacquard stars (which look like dots in this shot). Vicky admires the added depth and texture of the jacquards. - If you wear foundation, stay away from the palest scarves. - Though the French (and Vicky is one) are renowned for knowing what to do with a scarf, she says a woman need not be a tucking genius. Most often, she simply folds it to a rectangle, ties it once, and just gets on with it, so that's what I do, too. It's a scarf, not an origami contest. Scarf shown is Concours d'Elegance. If you dislike the printed carré, this post might renew your certainty; there are many other options. If interested in a pared-down wardrobe for daily or travel wear, you will find your own woven signature, from silk twill to hand-knits. I enjoyed and appreciated this post so much! Thank you, Duchesse and Vicky. Love to wear scarves and never thought about the importance of the corners! You had me scurrying to my closet this early morning to inspect the corners of my scarves---some are better than others! Thank you for these tips! Thank you, Duchesse! One of the things I discovered about printed scarves, especially Hermès, is how much you can vary the look depending on how it's tied. And you're right; there's no substitute for trying before buying. I also like a contrasting hem, or a print that goes all the way to the hem. I wore scarves a great deal in my 20s and 30s, then somehow abandoned them in recent years. Luckily I saved the as I am wearing them again. I wish I had learned about the importance of corners a little earlier than I did. When I started I bought scarves I loved open and wondered why I didn't like them tied. Luckily experience is a great teacher. Loves that scarf Les Parisiens! this and your pearl posts speak to me! Spot on advice! 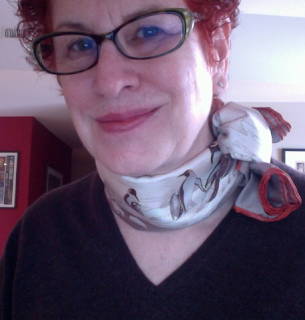 It's hard to evaluate scarves when buying online, but practice helps. 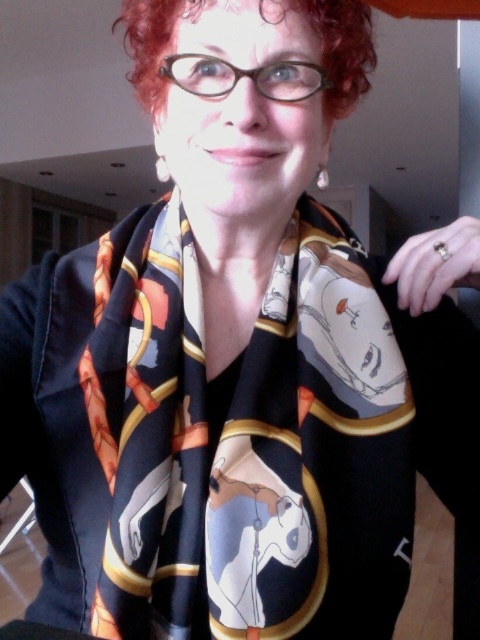 So does printing out the photo of the open scarf and playing with it a la paper dolls. I've done that several times recently. William: I wish you "good corners"! Susan: Me, too. Sometimes have been captivated by a colour but then realized, corners are less than great. pseu: And it is fun, especially if you have a patient and enthusiastic salesperson like Vicky was. hostess: Thanks, pearl post coming up pretty soon. SewingLibrarian; Brilliant! Thanks for sharing this idea. Do you have a little doll with your face on it? 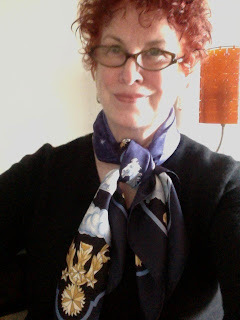 Great tips and lovely scarves, beautifully illustrated by your photos... 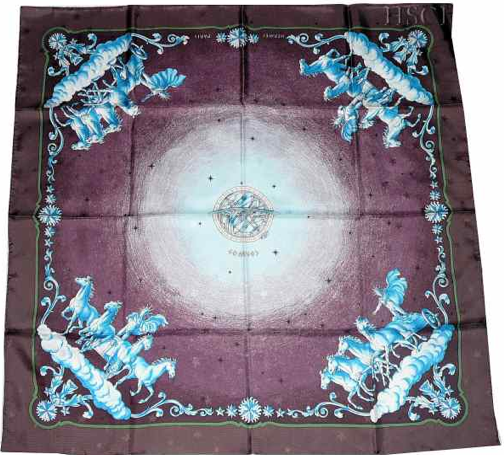 I own just one Hermes scarf, the Bal de Bulles in soft blues and grays. You are so right that the scale, distribution, and contrast of prints is important to consider on a smaller frame, but I've found this scarf difficult to manage in another way: the crisp, smooth silk which makes such a superb surface for printing tends to slip around or bulk up, creating a less than elegant effect. Any advice on how to show a gorgeous Hermes scarf who's boss? I do love the feel of silk around my neck, but have had better luck with vintage Vera and Echo scarves from thrift shops; they drape softly and stay tucked. LOL, Duchess, no doll with my face, but I learn a lot about what colors and pieces of the design will show when the scarf is folded in various ways. I got the idea from the lovely Mai Tai whose blog is a great resource for lovers of Hermes. You got it right, that this post "renewed [my] certainty" that I am not a carre person. But I have been given some as gifts, so maybe I will look at them and their corners to see if I change my mind. The ones you are wearing look great. Your husband and sons chose well. which is great for looking at, or shopping for Hermes scarves. I was nicknamed "Mlle. Foulard" when I lived in France my junior year -- I made very few clothes go a very long way with scarves, though my budget was not up to Hermes then! 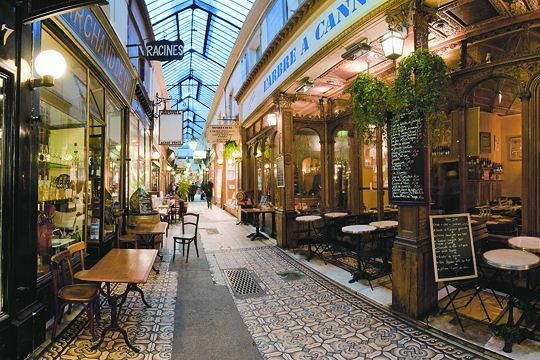 I did have some great kitschy finds from the Marché aux Puces that I loved to death. Now my scarf tastes run mainly to the hand-painted or hand-woven, but I'll wear just about any sort of fabric around my neck! I've got two lengths of vintage kimono fabric I'm going to roll hem and wear as oblongs. Will try to remember to post a photo when I do. C.: you might well repfer a lighter weight; Hermes' "vintage" line is a slightly smaller square and made in lighter-weight silk than the classic carré, which is 20 momme weight (other silk scarves are 4 mmm to around 16). Or, your carré might have a lot of sizing in it some of mine practically stood up by themselves. I have handwashed and they become slippier. (But test on a corner first.) Usually I dry clean at a specialty cleaner who doesn't mash the hems. And there are two other shapes, the Plissé or the newer "Triangle", introduced in maybe 2008? This is terrific scarf for warmer climates, just enough to get the burst of colour but not so much to manage. And the teeny Twilly but I find it too twee for grown women. SewingLibrarian: Thanks for that reference, good librarian resourcefulness! frugal: When one son was seven, we were walking down a city street; he spotted a passer-by and leaned into me with a conspirational whisper: "Maman! 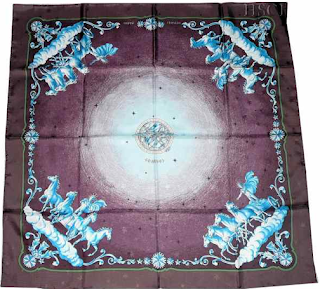 Foulard Hermes!" Rubi: Would absolutely love to see your vintage kimno scarf! 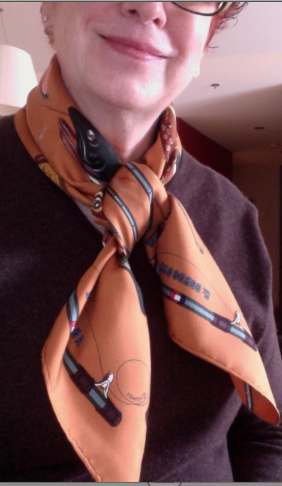 I'm a bit of an Hermes scarf addict, much to the distress of my pocketbook. My favorite design of this Autumn/Winter collection is "L'arbre de vie." I heartily recommend a website called "Mai Tai's picture book." I'm not tech-y enough go know how to add a link in this comment, but if interested just "google" her. 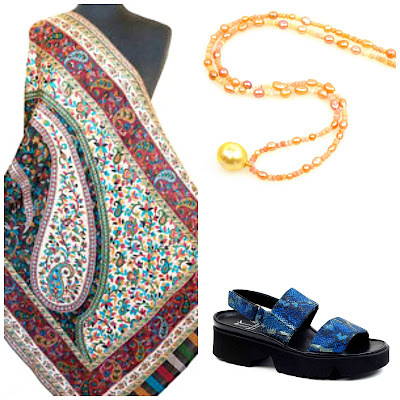 She has numerous instructional videos on how to tie all sizes of carres, and she also sells beautiful horn and mother-of-pearl scarf rings in various sizes. Highly recommended. Summers in the Hudson Valley were terribly hot and humid. I am not sure about the new location though. I remember it being breezier, but probably not cool enough for scarves. And yet, the spring and fall seasons are much longer, and the winter milder, so I think that there will be ample opportunity for scarves. I'm not sure why I haven't been wearing scarves as much lately. This post, though, has not only inspired me to work them into the mix more often -- it's also got me thinking I need to pop into Hermès and start daydreaming and drooling and draping and folding . . . and hinting. . . I know this blog, beautiful ensembles, worn in a more dressed-up manner than I would attempt, at least these days. Mardel: It's hot and humid all summer here, too- if wish a scarf hit in July, I tie one on a bag. materfamilias: Yes, I go in and out of them too, especially now that I don't go into an office. Where they shine for me now is traveling, and for protecting my neck from Montréal's cold winds. Terri: Nesrly all of mine were gifts but when I do choose, take my time, and it's fun. Duchesse, Looking at your opening picture, I love the colors of the scarf with your hair and skin. Wondering if you believe in Leatrice Eiseman's color concept of Sunrise, Sunlight, Sunset....based on hair color, eyes and skin tone. According to her I am Sunlight but I love the colors of Sunrise. Now I know it would not be a mortal sin if I wear the colors I like but just wanted to know your opinion. Thanks. As always you are my favorite blogger. Lynda: Had my colours "done" circa 1982 (yikes) in the original system, the one with seasons. Still have the little wallet and though some shades no longer work so well on me (my hair colour has changed) it's still mostly valid. There are various colour systems, but also have learned from the eye of someone with terrific visual sense, like Vicky. I'd like to have my colours analyzed using another system, for fun. If anyone knows a resource in Montréal, let me know, please. What a wonderful post. Lately I could have bought two Hermès scarfs in a, as we name it, "second hand shop". Both carrés were in excellent, nearly unworn condition and the price for each was € 100,--... I found them boring, and now know why. But "Les truites" are so charming, with or without remarkable corners, I would love this motif. 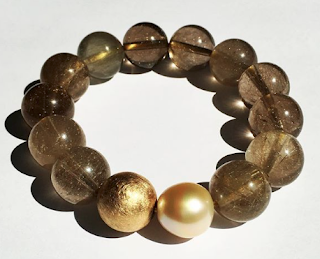 Your wear yours so beautiful, perfect colors who match your skintone and hair! P.S. The Spring Collection of EB is online, so maybe there will be a Cashmere post soon? Would love to read about what you would choose. What a great post! 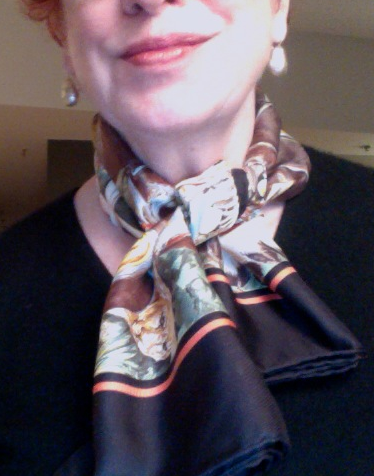 I am new to the world of scarves (I just have one Hermès scarf, which I received last year for my birthday). I noticed in the store when I was trying it on that a scarf really has to be tried on to see whether the colours complement one's complexion. Thanks for the all the useful tips! Great advice from your friend. A good salesperson can be a wonderful help. When I choose a scarf, especially an Hermes, I choose patterns which make me smile and have a connection to my life. Each time I open an orange (or other) box, I remember the purchase and enjoy the artistry. barbara: The boring ones often end up at resale stores, but good ones do, too. I once heard the owner of a Paris flea market stall disparage his collection saying "I don't have any good ones right now." Stacy: Some themes that I like do not look right on me, and it is sometimes hard to let go of a design for that reason. Fortunately the store has been very willing to accept exchanges.